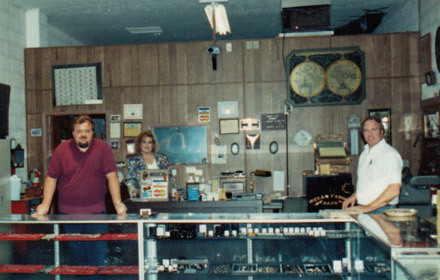 In 1982, we opened as a small mom and pop business in a tiny building down the street from our current location. Our focus was on coins and gold buying, and in 1996, we expanded our services to include pawn loans on gold jewelry, diamonds, sterling, Rolex watches and coins. This addition allowed us to provide our customers with more options when they needed money but did not want to sell. 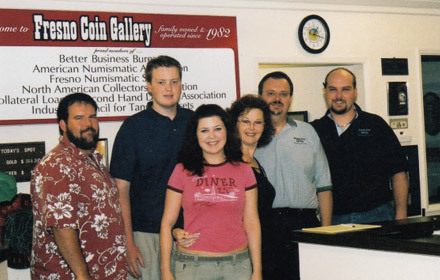 Over the years, we have grown and now have four locations to serve you. Our Blackstone and Gettysburg location has two buildings – The Pawn Shop, which handles buying and loans, and The Showroom, which features a full variety of coins and currency, collectibles, jewelry, gently-loved Designer Handbags by Louis Vuitton and Chanel, and Rhythm Clocks. Our Downtown Fresno and Visalia locations offer a quick way for you to sell or pawn your valuables. In being the Central Valley’s #1 gold buyer for over 30 years, the second generation of the Foster Family carries on the family tradition of business integrity and loyalty. Now, our team of over 40 members is here to help you.